It's one of the most magical times of the year. The North Shore mountains tower over the city of Vancouver and look beautiful in the winter months with powder white snow decorating their peaks. I find one of the most enchanting joys during the holiday season is when Grouse Mountain gets some added cheer and the Peak of Christmas comes alive. Twinkling lights are abundant whether you are enjoying a stroll along the light walk, skating under the stars on an 8000 square foot skating pond or taking part in live entertainment by the fireside. Dancer and Vixen have flown in from the North Pole to rest and relax before Christmas Eve. You can even visit Santa in his on site workshop and share all your holiday wishes. 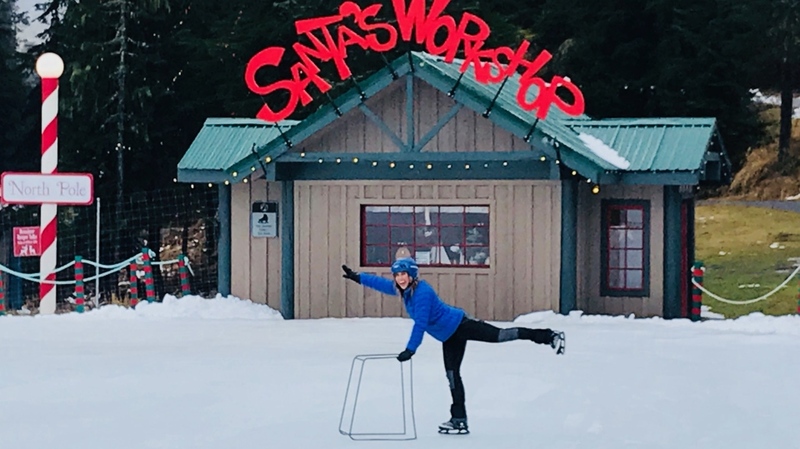 I had a chance to explore on CTV Morning Live so check out the videos for a sneak peek of the Peak of Christmas at Grouse Mountain.